According to Wikipedia, Tetrazzini is an American dish that was most likely invented sometime between 1908 and 1910 by Ernest Arbogast. 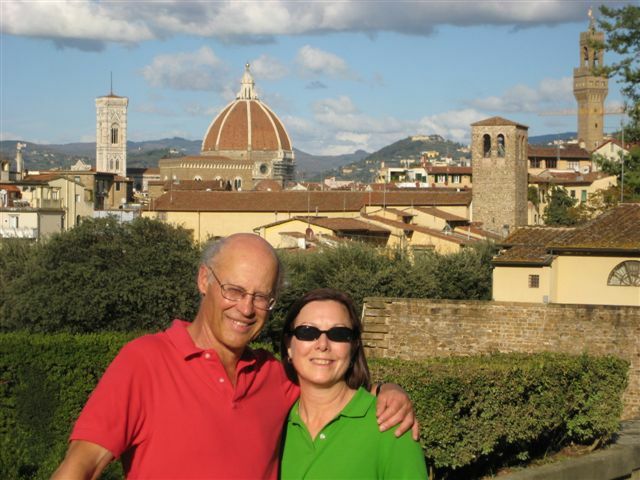 He was the chef at the Palace Hotel in San Francisco where the popular Italian opera star, Luisa Tetrazzini, was a resident. He named the dish after her. 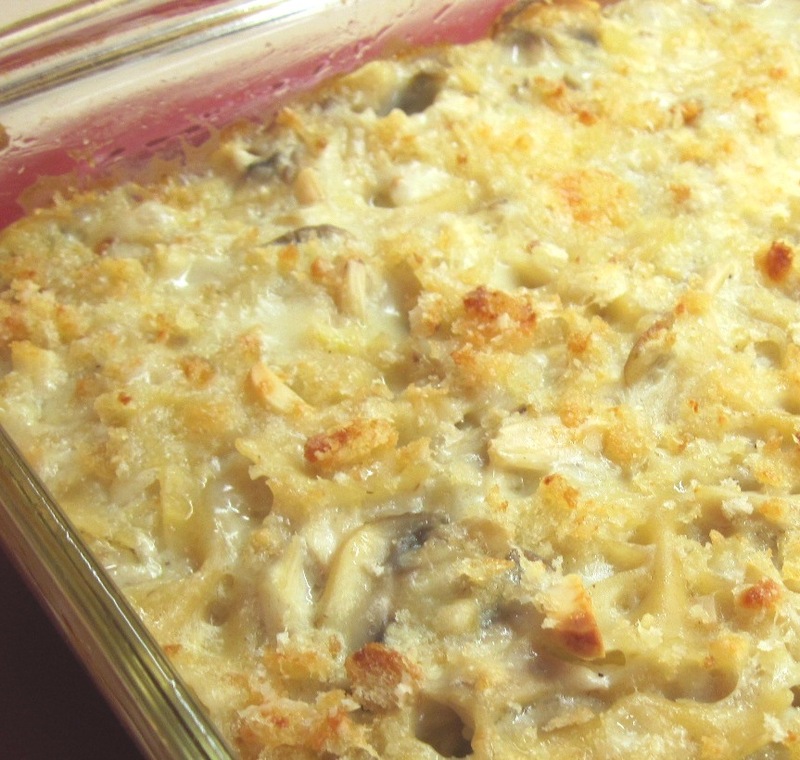 A classic Tetrazzini recipe calls for poultry or seafood, pasta, mushrooms, almonds, cream sauce, and Parmesan cheese. 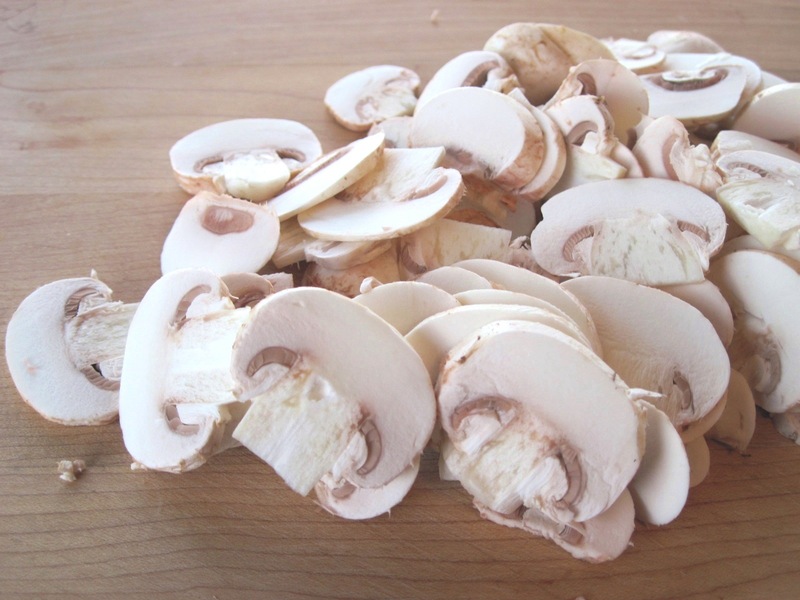 In the ‘50s and ‘60s it became popular to use canned cream of mushroom soup in Tetrazzini recipes. I’m pretty sure my mom used canned soup in her version. I remember that I liked it. I turned to the 2006 edition of the Joy of Cooking for the latest version of this American classic. I had one leftover Cornish game hen; it yielded 8 ounces of meat (I’d say about 2 cups). It was just enough to make ½ of the recipe. Well, you know what they say—everything old is new again! This was great! 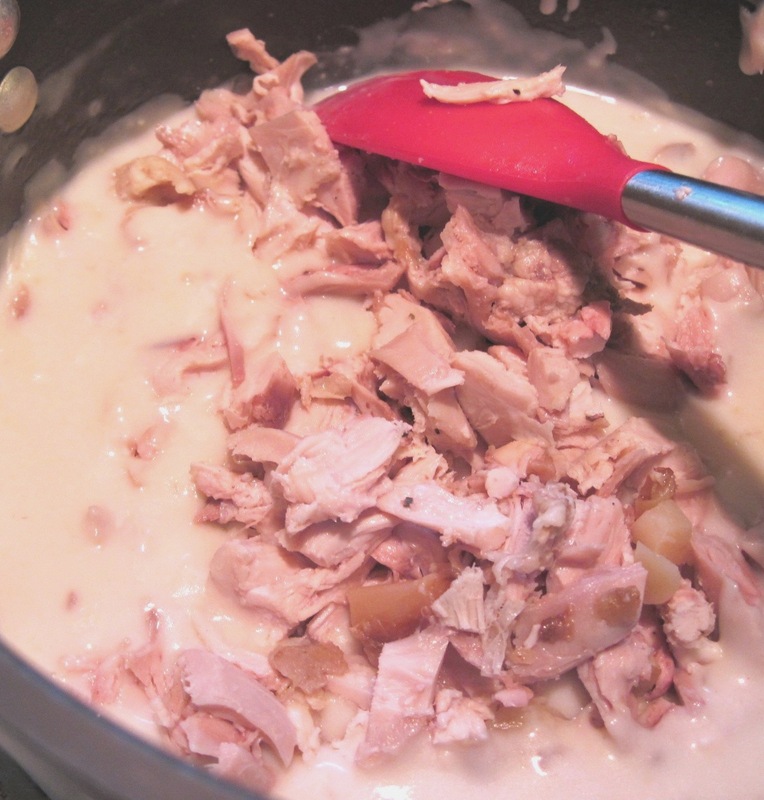 I now have another favorite recipe to turn to when we have leftover chicken or turkey (or Cornish game hen). 2. Butter an 8×8 inch baking dish. 3. Put a large pot of water on to boil for the pasta. 4. Melt 3 tablespoons of the butter in a saucepan. 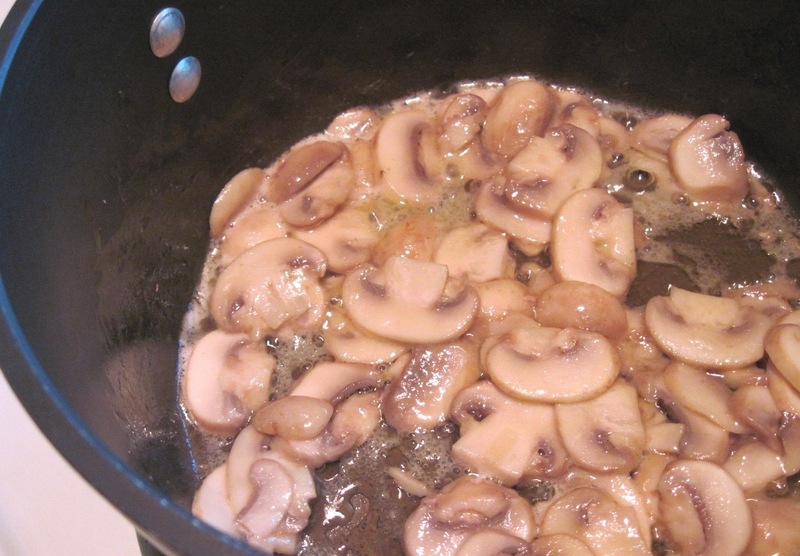 Add the mushrooms and cook, stirring occasionally, until softened, about 5 minutes. 5. Add 1 heaping tablespoon salt to the boiling water and cook the pasta according to the package directions. 6. Stir the flour into the mushrooms until well blended. Slowly add the chicken broth and milk while stirring constantly. Cook and stir until thickened, about 5 minutes. 7. Add the Cornish game hen, almonds, and cooked and drained pasta to the sauce and stir well. 8. At this point, taste to see if it needs salt; if your chicken broth is salty, it may not need much. I added about 1/4 teaspoon of salt. 9. Put it all into the buttered baking dish. 10. 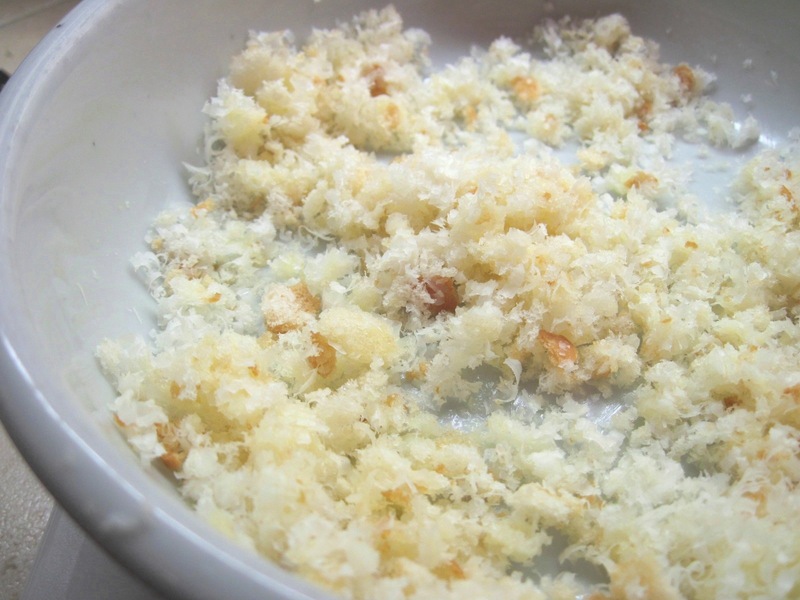 Combine the bread crumbs and Parmesan with 1 tablespoon melted butter. 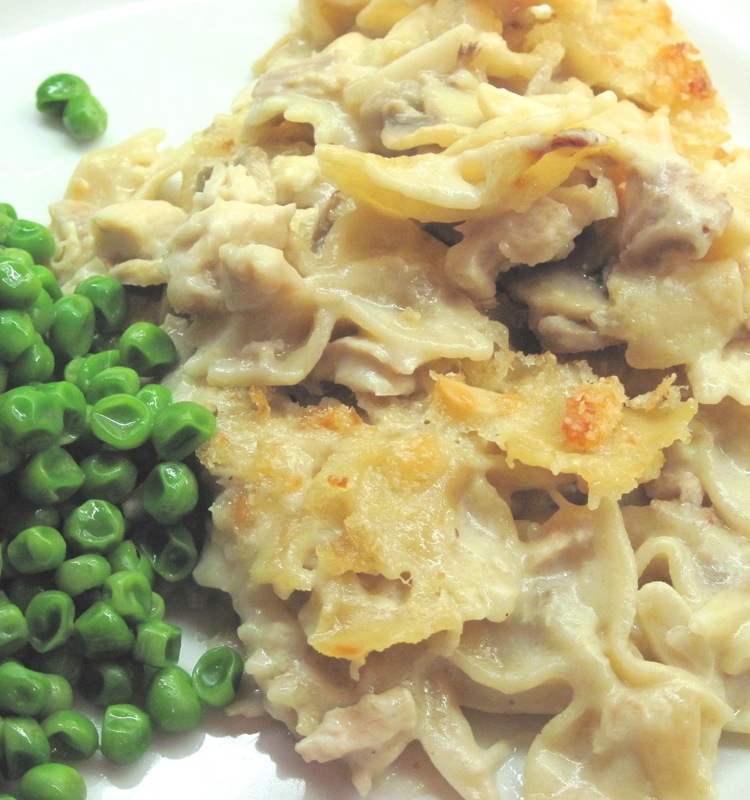 Distribute evenly over the top of the Tetrazzini. * To toast the almonds, put in a small, dry pan over medium heat. Cook, stirring often, until lightly toasted. It takes 3 – 4 minutes.